Did this web page loads slowly for you ? Did you get low Download speed as promised by your ISP previously ? You might have internet speed problem. Here are the tips, where you can check your Internet Speed for free online. Speak Easy – You can chose lots of locations to check on your internet speed. Does Upload and Download speed measure. 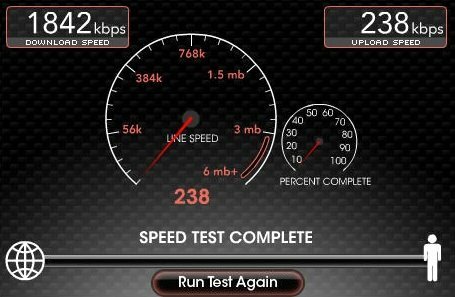 Speed Test – This is my favorite speed test website, it looks good, fast check on upload and download speed and lets you save your speed test. Bandwidth Speed Test – Does only what it says. Well I hope many of you are not going to be disappointed in speed tests you get, and if you do , call up your ISP provider and just make sure you are getting 80% of speed that they promised. A person essentially assist to make critically posts I’d state. That is the very first time I frequented your web page and to this point? I amazed with the analysis you made to make this particular publish extraordinary. Wonderful job! I surprise how much effort you set to make this sort of wonderful informative website.